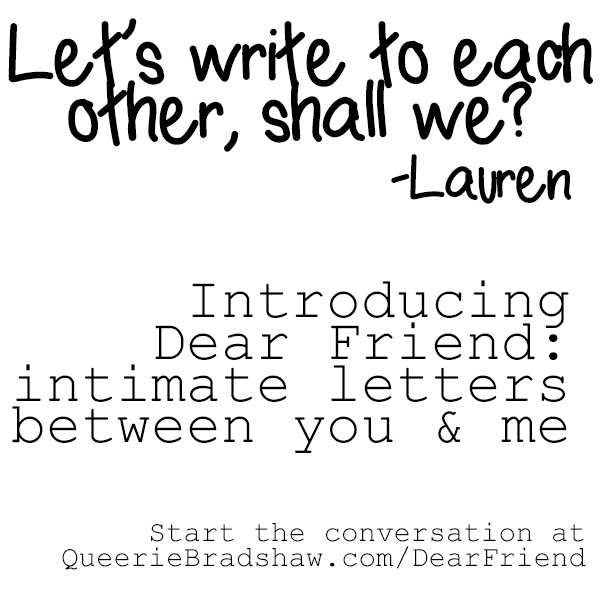 This entry was posted in Dear Friend, Essays, Off Our Chests, Personal and tagged Dear Friend, letters. Bookmark the permalink. I love this idea. I love to write letters and miss the excitement of receiving a handwritten letter in the mail! I’m so glad you’re excited! Sign up and send me your mailing address and I’ll send you a handwritten letter!